The Narre Warren Dental Care team is experienced in emergency dentistry, from toothaches to trauma. We’ll ensure that you get the prompt, thorough attention you need to feel better and safeguard your oral health. Accidents and contact sports can cause broken teeth or aggravate an existing infection. Similarly, a condition that has been present for some time such as impacted wisdom teeth can require immediate attention. 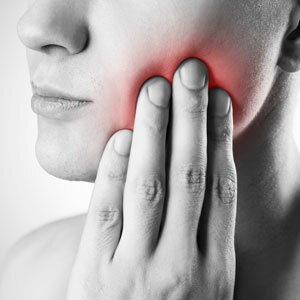 Existing restorations, such as dentures, crowns and bridges can also be subject to damage, affecting your mouth, jaw and bite. Here are three of the most typical dental emergencies we see and some tips on addressing them at home until you can get into our dental office. Rinse your mouth with warm water salt water, which can provide some relief. You also can take an over-the-counter pain reliever such as acetaminophen or ibuprofen. You also can place a cold compress on the outside of your cheek over the area that aches. Rinse your mouth with warm salt water. If there is any bleeding, place a piece of gauze on the area for approximately 10 minutes or until the bleeding ceases. Apply a cold compress to the outside of the mouth, cheek, or lip near the broken or chipped tooth to minimise any swelling and relieve pain. Retrieve the tooth, ensuring to carefully hold it by the crown. If the tooth is dirty, rinse it off with water. If possible, attempt to insert the tooth back into the socket. If you are unable to do so, place the tooth in a small container of milk. Please aim to get into our practice as soon as possible as a knocked-out tooth has the greatest chance of being saved if its placed back in the socket within an hour of being knocked out. Dental emergencies require prompt treatment so be sure to contact our office straightaway for an appointment. We are preferred providers for HCF and NIB.